The 6 feet Curved Table Top Pop Up Display is a trade show classic and comes with everything you need to effectively promote your product. 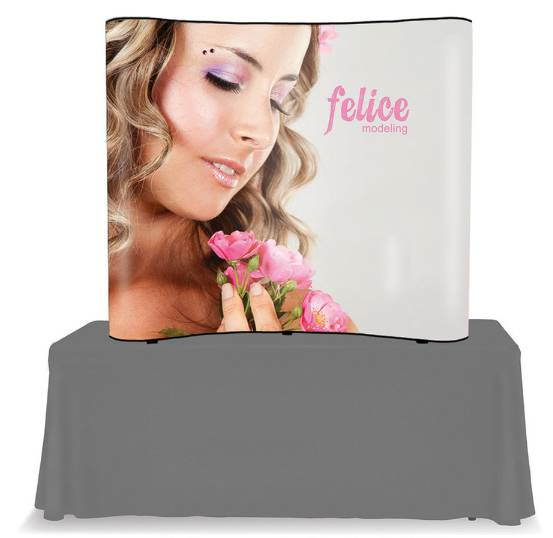 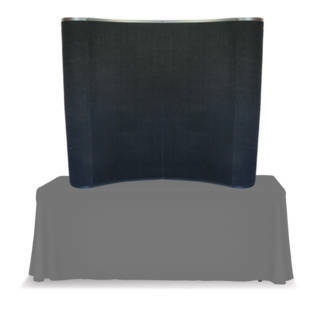 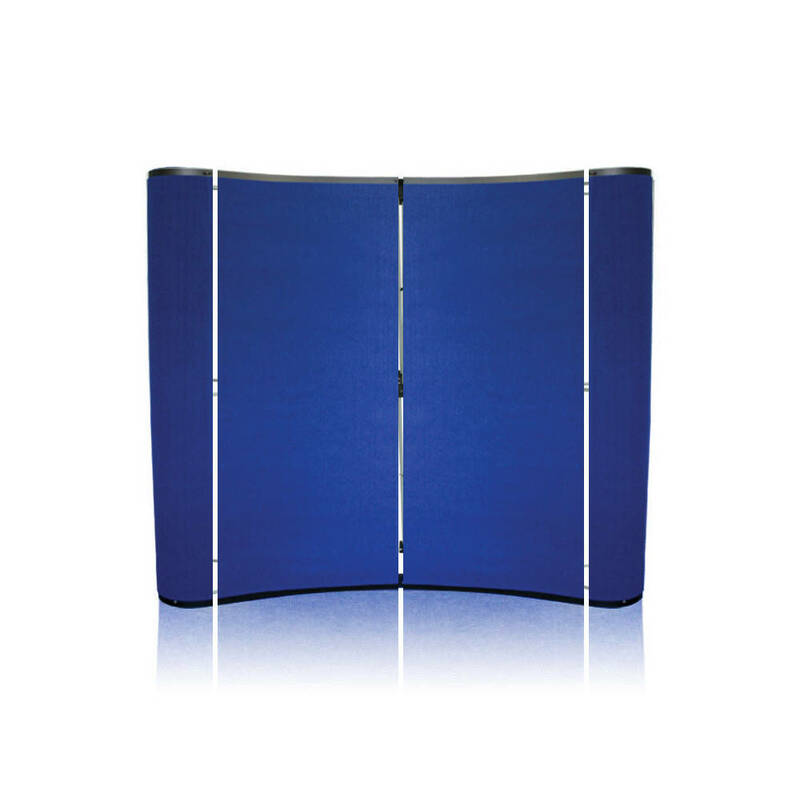 Designed to specifically fit 10 feet trade show booths, the sleek look of this display gives a professional presentation. The display’s pop-up design saves valuable time as it expands and collapses in a matter of seconds. Expand the geometric aluminum frame, click locking mechanisms into place, and hang the graphic panels to complete the set up.